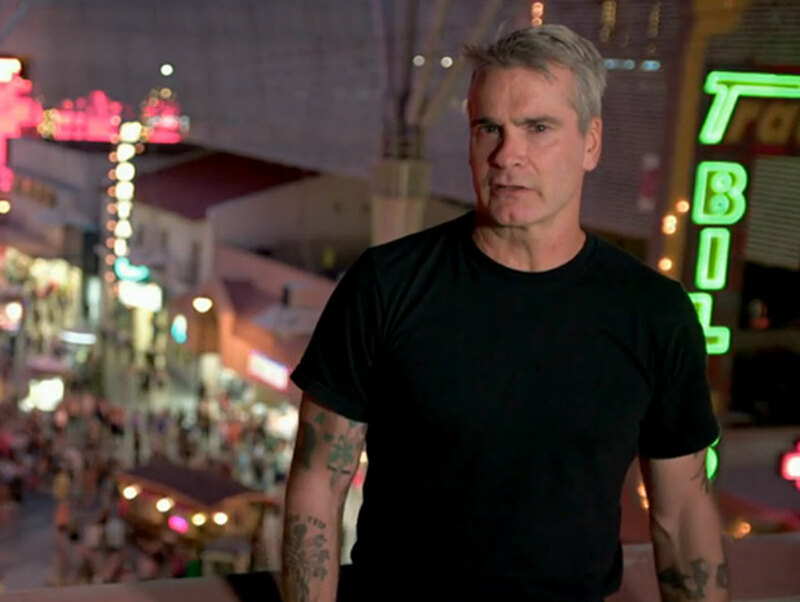 In August, multi-hyphenate-wielding raconteur Henry Rollins stuck his blogging hand inside a hornet’s nest when he used his LA Weekly column to call out Las Vegas as “a massive concrete, steel and pavement tantrum.” He wrote this tirade while perched near perhaps the most touristy of spots: The intersection of Las Vegas Boulevard and Flamingo Road, about as close to dead center on the world-famous Las Vegas Strip as it gets. It was mid-August, it was unmercifully hot, and to be honest, if my only exposure to “Las Vegas” was a view from a second-tier resort of the unwashed masses sweating their way from one monolithic casino to another, I’d probably have come to the same conclusion. But reading the blog he wrote while in Vegas to shoot said episode, it’s obvious he didn’t. This is a guy who, on his spoken word tours, has made a point of enlightening audiences about the “real” culture of places he’s traveled in the Middle East, places he got to know by spending time in cafes and people’s homes—and yet he thinks he’s got an entire metropolitan area—my metropolitan area—of two million people figured out after spending a few days on one street talking to other visitors. Come on, Hank. You’re smarter than that. The Strip is not Las Vegas. Los Angeles isn’t the corner of Hollywood and Highland, nor is it merely a place where films get made, and likewise, Vegas isn’t just a place for people to gamble away their mortgages and look at naked ladies. Besides, technically, the Strip isn’t in Las Vegas at all, but an unincorporated township called Paradise. The future of personal transportation is being tested on Vegas’ streets. Ride-sharing might not be an entirely original idea, but Shift—which recently launched in downtown Las Vegas—has a new spin on it: It takes the app-driven ease of Uber and combines it with a fleet of eco-friendly vehicles a la Zipcar, but adds bicycles, shuttles and other features to create a seamless transition from foot to bike to car and back. It could revolutionize the way people get around a city. Downtown Las Vegas is a startup hotspot. One of the major investors in Shift is Downtown Project, a business incubator funded to the tune of $350 million by Zappos.com CEO Tony Hsieh. DTP, as it’s known around town, has been helping to revitalize an area of downtown east of the gaming corridor through small business investments and construction projects. To date, DTP has been indirectly or directly responsible for creating 900-plus jobs, and recently, one of its investments, the direct-selling mobile app Rumgr, was purchased by eBay. Real healthcare reform is happening in Vegas. Turntable Health (yes, another Downtown Project investment) is creating an entirely new approach to primary care, offering low-cost, monthly membership plans that give unfettered access to doctors, health coaches, classes, and more. High culture sells. The Smith Center for the Performing Arts, an Art Deco-influenced, $450 million home for Broadway shows, ballets, and symphonic performances that opened in 2012, not only clocked more than one million visitors in just over two years, but is now also ranked eighth in the world in Pollstar’s Top 100 Theater Venues. Yes, in the world. Las Vegas is a leader in sustainability. There are about 100 LEED-certified buildings in the Las Vegas area, with about 150 more pending certification. The city’s largest employer, MGM Resorts—which owns about a dozen properties on the Strip, with more than one million square feet of casino floor under its purview—holds six LEED Gold certifications, recycles more than 50 percent of its waste, and has consistently been ranked among the top 500 of Newsweek’s listing of green companies. Vegas has a lot of museums, and they’re crazy fun. The Mob Museum and the National Atomic Testing Museum both appeared in Rollins’ TV show, but those are just a few of the 30-odd museums in Southern Nevada. Sure, you can go to any city and find a stuffy museum filled with boring paintings and dusty sculptures, but at Las Vegas’ museums, you can play a Ted Nugent-themed pinball machine, check out burlesque hotties, and wander through a resurrected ghost town. You can go from jet skiing to snow skiing in less than an hour. Las Vegas is an outdoor adventurer’s paradise. Rock climbing at Red Rock Canyon. Snowboarding at Mount Charleston. Boating at Lake Mead. All within about a half-hour of the Strip. Heck, there’s even 1,000 miles of trails within the Las Vegas Valley itself. Guy Fieri? Chain restaurants? How about James Beard Awards? Let’s ignore for a moment that the Strip is home to literally dozens of the world’s top restaurants and chefs, with countless Michelin stars, AAA Five Diamond awards and the like among them (including Joël Robuchon’s only restaurants in the Western Hemisphere). It’s the mom-and-pop eateries—representing just about every culture around the globe—that really shape Las Vegas’ dining scene, including homegrown spots like Thai restaurant Lotus of Siam, whose chef-owner Saipin Chutima scored a James Beard Award in 2011. Yeah, Las Vegans are thin-skinned, but at least we’re proud. The response to Rollins’ column among Vegas locals ranged from the placid to the philosophical to just plain ticked-off, but a shared passion connects all of the defensive posturing: We embrace our city, warts-and-all, and we do things the way Frank Sinatra taught us to: Our way.